2 teams red/blue 1 ball per teamreds pass ball from side to side blues from top to bottom. Every player must touch ball, man who passes ball to outside player swaps places. Players use right/left foot only. Same area as last slide, this time one ball only 3v3 in middle, 4 men per team on outside. play through opposition and to opposite target man to score. Every player must touch ball before hitting targert man - passer swap with target man. 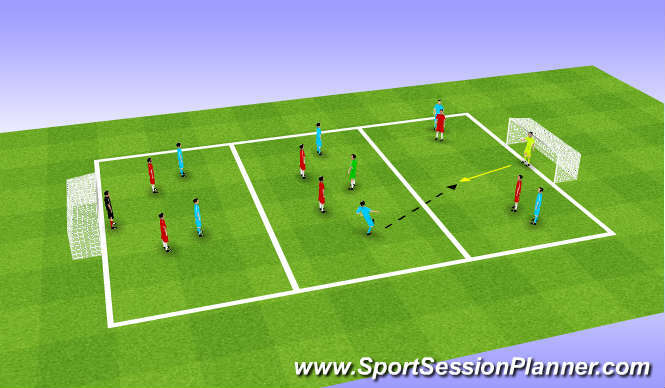 Thirds game - play starts with GK 2v2 in end zone - can 1 m/f create 3v2 and play out into middle zone - team in possession must play through each third to score passer can go in to next zone to create over load. Good angles of support find pockets of space, body shape to receive. Use both feet. 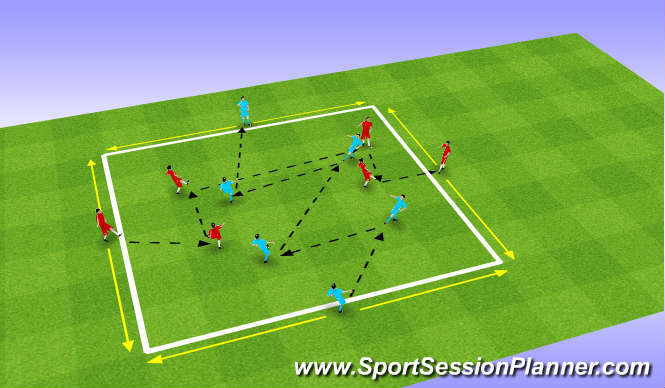 Create space (lose defender),quick play 1-2s, clever play, disguise. 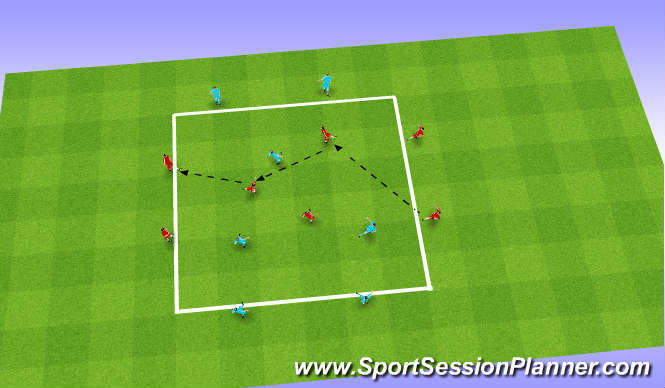 Session starte well, each team had a ball found space, created support angles and passed the ball well when it went to two teams 1 ball. Yellows were very effective,passed the ball quickly, didnt have many touches. Oranges really struggeled. Kept giving ball away too many touches. wanted to dribble not pass.